Not only do I 1000000% recommend Gmano Railings, I want this review to be a public service announcement about the importance of using a qualified company for your railings. My partner and I recently bought a home that required extensive renovations. 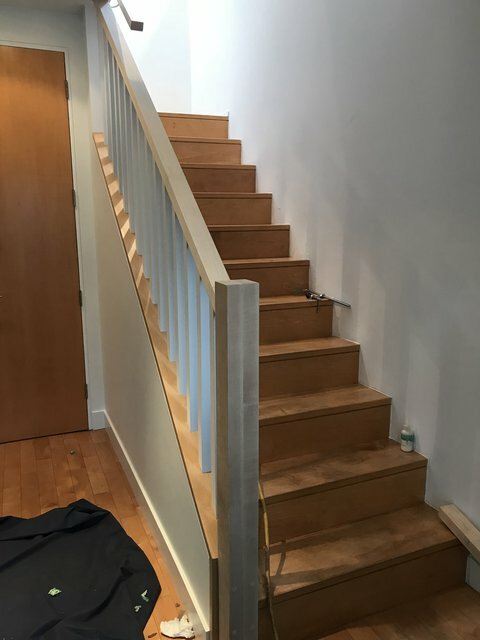 This included constructing & installing new railings for the main and second floor landings, as well as a railing for the stairs leading to the second floor. For additional context, the previous owner had removed all railings and constructed walls in their places. Also, our's is a narrow home, so the second floor hallway is also narrow. From our first meeting with Leo, we knew we wanted to work with him! First off, Leo came to review the site in order to provide an accurate and informed quote (whereas other companies just asked for pictures & gave us estimates based on that). During his visit, Leo was extremely thorough in taking measurements and really reviewing the site conditions, and took the time to inform us about our options and answer our questions. He gave us the confidence and assurance we needed that not only would the quote be accurate and within budget, but that we were also in great and experienced hands. In taking the time to review & understand the limitations of our space, Leo recommended a removable railing for our second floor landing. This would allow us to remove the rail and create more space should we need to move large objects to & from our main & second floors. Part of our handrail would also be removable due to some space limitations in our stairway as well. 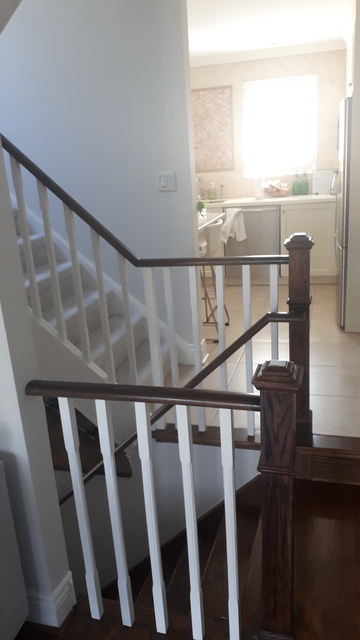 Again, this is why it's critical to work with someone who specializes in railings and has the expertise to provide you with the options that fit your needs! The installation took 2 days, as Leo completed all the work himself. He was not only super diligent and thorough, but also kept a very clean and tidy work site. He also kept us informed and continued to answer our questions throughout the process. For the removable railing, he even took & provided a video of the process, so that we could use it as a reference for the future! We couldn't have asked for a better and more knowledgeable railing contractor to work with, and I can't recommend Gmano Railings strongly enough! In addition, he is an independent and locally-owned business, which I am always a proponent of. I am thoroughly impressed with Leo at Gmano Railings. He was a pleasure to work with and I appreciated his suggestions and his attention to detail. I felt he genuinely cared about what I wanted and in the end I now have exactly what I was hoping for. Thank you Leo and I highly recommend him to anyone who is looking for impeccable service!! Thanks for the opportunity you gave me to work on your parents house. It was a pleasure. It was a pleasure to work with Leo. He came out multiple times to meet us, do measurements for an accurate quote, and to walk us through how and when the work will be done. He suggested a specific wood type appropriate for our house and we were able to customize the work to make sure it goes well with our interior. The work was complete within the given time frame and he also came to help me remove one of the hand rails when we had our washer and dryer delivered. I could tell that he genuinely loves doing what he does and it was a great experience to work with someone with such a good work ethics and energy. I had my railings replaced in March 2018 by Gmano Railings. I was quite pleased with the workmanship, advice, cleanliness etc.. i prefer to hold my reviews until the - for lack of better term - honeymoon with the work is over. I found I don't see everything as clearly as i am so happy to have one thing off the list. It's now December 2018 and I still see immaculate workmanship, quality materials and a beautiful railing. My level of satisfaction is unchanged and may have even gone up another star or two. I'm still so happy that i found Leo/Gmano Railings, i appreciated the great advice and patience with all my questions etc. Thank you so much Leo! Thanks Doria. It was a pleasure working with you. We were seeking quotes and advice on replacing our very dated railings. After connecting with Leo, we were confident that he would provide nothing but the best! He takes great pride in his work and it shows! Leo is honest, trustworthy and reliable. The experience was much like having a good friend in our home. The craftsmanship in Leo's work is outstanding! He spends his time on fine details that many would overlook. Leo is a master in his craft. We will definitely recommend him to friends and family! Thank you Kelly and Omar. fantastic service; courteous, fast, great price! Leo was a pleasure to deal with. The price was great, the service was great - on time and on budget. I would recommend him to anyone who needed railing install. Thank you, Leo! Leo did a really nice job with our staircase and handrail, and went above and beyond to make things look really good. Leo also made sure the area where he was working was clean and tidy, and after he left we had nothing to do other than enjoy the final product. I wish more trades were like Leo, and I highly recommend working with him! Leo is a trusted expert in his profession with decades of experience under his belt. 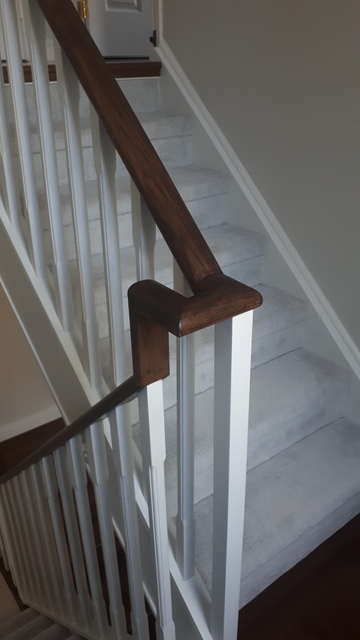 Besides doing an amazing job in both repairing and updating our century old staircase, he offered valuable advice along the way in staining and caring for our new staircase. 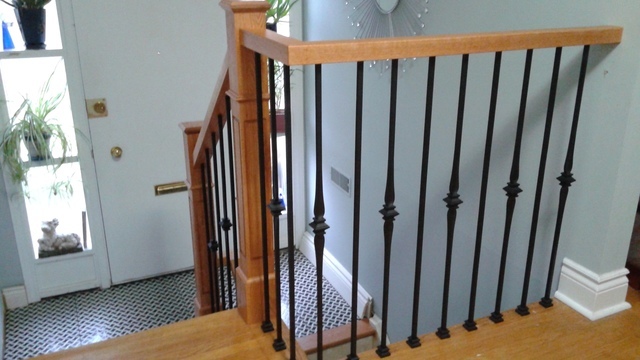 We will not hesitate to recommend Gmano Railings to anyone looking for a "staircase expert". Welcome to Gmano Railings. We specialize in INTERIOR RAILINGS - SMALL JOBS WELCOMED! 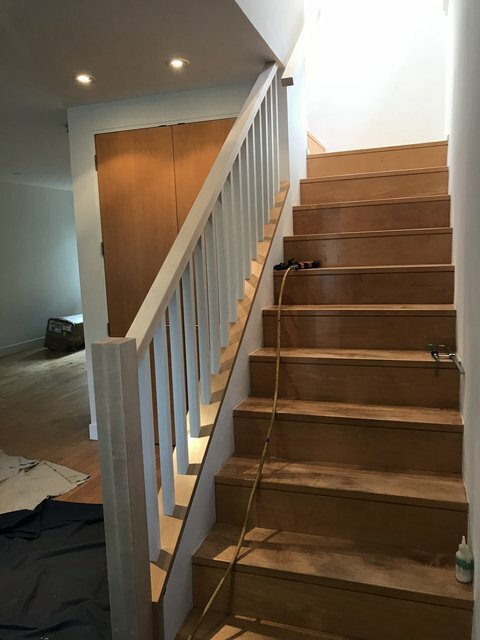 Serving the GTA since 1987, we are specialists in INTERIOR Railings and Stairs Refacing. 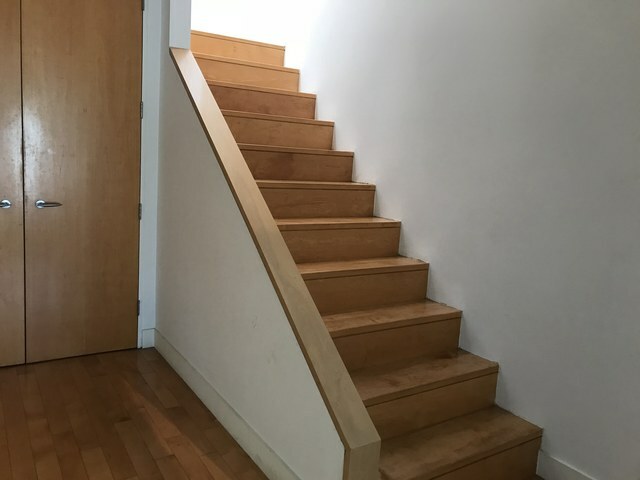 Transform your carpeted stairs into beautiful hardwood. ANY SIZE JOB, SMALL OR BIG, DO NOT HESITATE TO CALL! NO EXTERIOR JOBS. ONLY INTERIOR JOBS. We guarantee you our services with accuracy and professionalism.